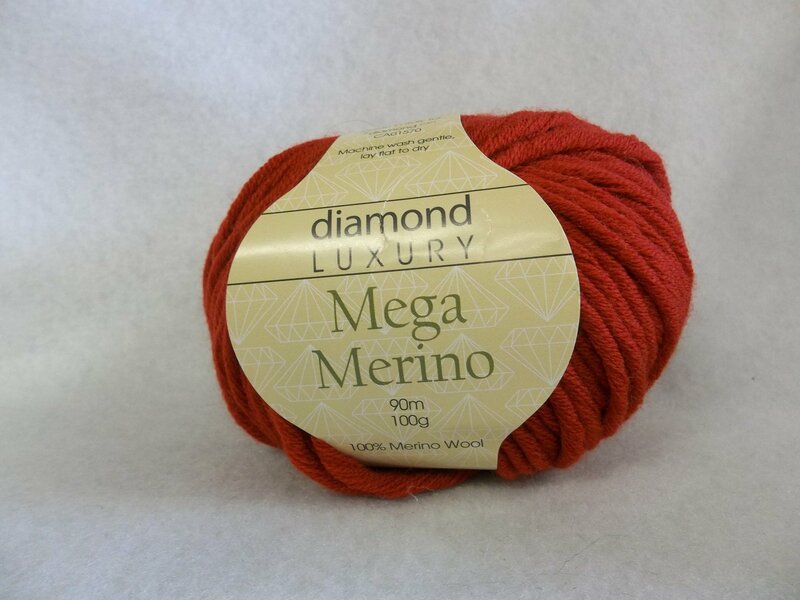 Mega Merino is a bulky weight 100% merino wool yarn with 90m on each 100 g skein. The gauge is 14 sts. per 4 inches on a US 10 or 10.5. Machine wash gentle and cold. Lay flat to dry.